V Blocks are used to assist in the milling of flat surfaces on circular sections. 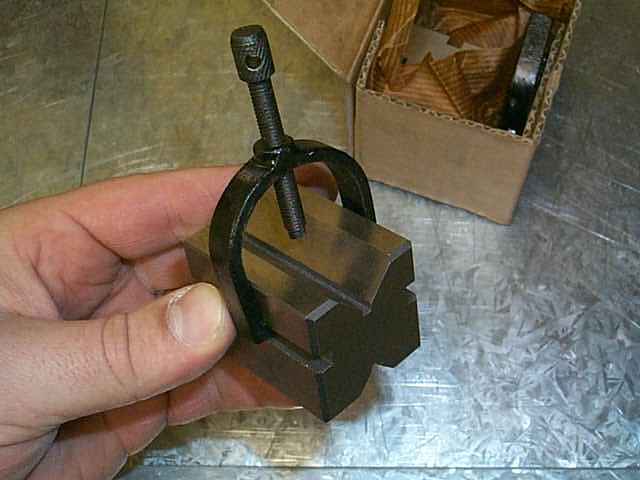 The round section of stock is placed in the V and the clamp is tightened. You can then clamp the whole lot down. I have not used these yet. A shot of the V Block. I will add some more pics and details when I use them.